We are a well-known Manufacturer, Exporter and Supplier of Caljaw Sachet. The Caljaw Sachet is manufactured in our hi-tech laboratory. The Caljaw Sachet is known for its accurate composition. 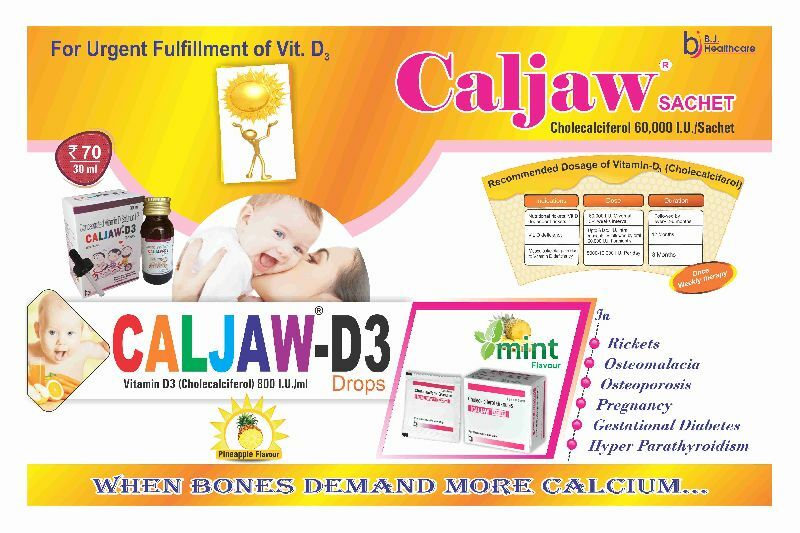 Avail Caljaw Sachet from us at very reasonable prices. Each 1gm Sachet Contains : Cholecalciferol 60, 000 I.U.